If you favour the vintage military clothing look, or you’re looking to finish off a steampunk style, then our military range may be all you need to create a stop and stare look that gets you all the attention for all the right reasons. 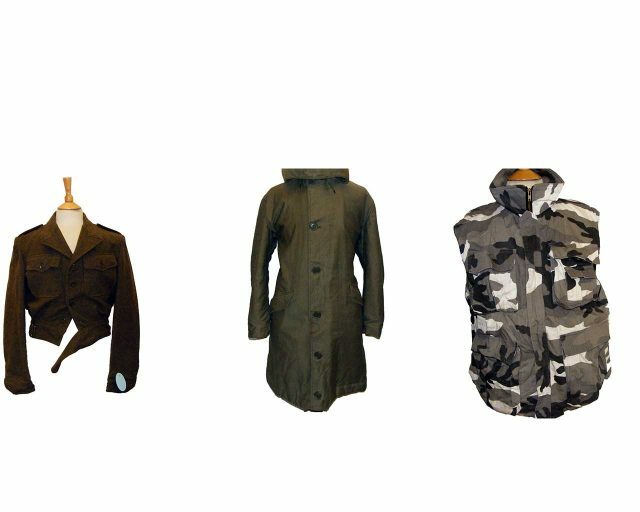 We have a versatile selection of vintage military clothes, including coats, hats and other accessories for Men & Women that are in excellent condition. The military look is something that needs a certain degree of authenticity to pass off as an original look. That’s not always easy. It takes dedication and a certain degree of patience to find exactly what you need to complete a military look that works. If you’re looking for something special and you’re not sure if we stock it, come in and see us at our store if you’re local, or drop us an email, it’s on our contact pages. Always check our latest product pages for any new vintage military clothing items that have come in, and that way you’ll be ahead of the game.